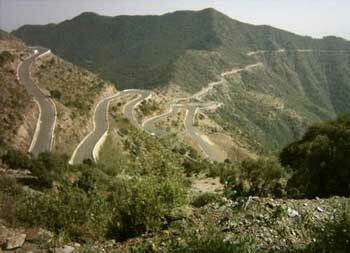 This is the area found to the North east of Asmara, the Eritrean capital, commonly referred to as "The Green Belt". 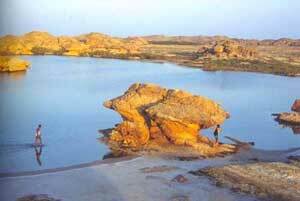 It contains the last remnant of mixed evergreen tropical woodland in Eritrea. 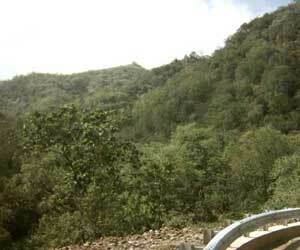 The elevation is between 900 - 2400 meters with north south range of about 20 kilometers. For centuries; it has had economic significance for low-land pastoralists and highland agriculturists. 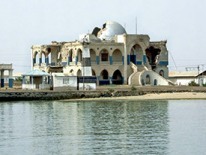 The fertile soils and relatively abundant rainfall (800-1000 mm) of the Semenawi Bahri were very attractive to Italian settlers. 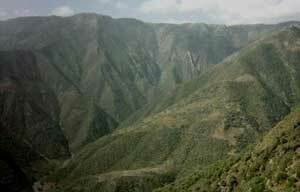 Large areas of forest were cleared to make way for coffee and agriculture. The fact that this area receives substantial rainfall has probably contributed in the survival of some of its vegetation, but today it is no longer possible to rely on nature to protect this increasingly fragile area. Wild life species are not found in big numbers but the occurrence of Leopard, Bushbuck, Klipspringer; greater kudu, duiker and warthog and a number of bird species has been ascertained recently. The number of Erkel's Francolins is quite amazing in the semenawi Bahri.